Yesterday's newspapers were full of the outrage felt by TV viewers at Mary Berry's recipe for pasta bolognese. I don't know what all the fuss is about? It seems that we Brits have made Spaghetti Bolognese one of our national dishes, whether we eat it in a restaurant or whip up a comforting meal at home, and we like it cooked the 'British way'. There was public dismay, according to the popular press yesterday, that Mary's version of the Italian ragu used white wine instead of red, included double cream and, heaven forbid, there was no spaghetti in sight. 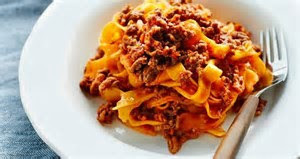 Mary used pappardelle instead (below). So called experts, according to the newspapers were also disgusted at Ms Berry's choice of ingredients and it is reported that some viewers actually switched off their TVs, in anger. I AM pleased that the British population is so knowledgeable about how to prepare pasta bolognese that they are prepared to protest so vehemently, but I doubt it! The so called 'popular British classic' is an abomination of a traditional Italian dish, providing mounds of pasta, in its spaghetti form and a 'tasteless type of fast-cooked' ragu sauce on top. Heat the butter in a frying pan and add the chopped vegetables, garlic and pancetta. Cook over a low heat for 6 minutes or until the onion is softened and golden. 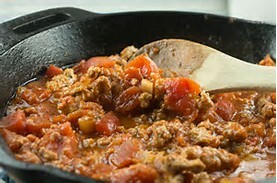 Add the mince beef, increase the heat and cook for 8 minutes, or until the meat is coloured but not browned. Add the nutmeg and oregano and season well. Stir in the chicken livers and cook until they change colour. Pour in the white wine, increase the heat and cook until the wine has evaporated. Add a little water if necessary, during this time to keep the mixture moist, but towards the end of the time, let all the liquid be absorbed. Stir in the cream, remove from the heat an leave to cool for 15 minutes. 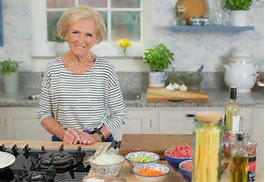 The real secret of a great bolognese sauce, like Mary Berry's recipe, is to let it cook for 2 hours!